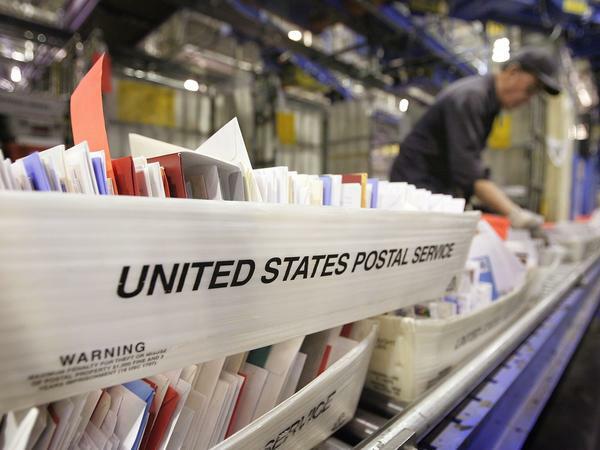 A Chicago man has been charged with mail fraud and mail theft after allegedly changing UPS's corporate mailing address to the address of his own apartment. Here, mail is sorted at Chicago's main post office in 2006. Dushaun Henderson-Spruce in a November 2016 police photo. As federal crimes go, this one seems to have been ridiculously easy to pull off. Dushaun Henderson-Spruce submitted a U.S. Postal Service change of address form on Oct. 26, 2017, according to court documents. He requested changing a corporation's mailing address from an address in Atlanta to the address of his apartment on Chicago's North Side. The post office duly updated the address, and Henderson-Spruce allegedly began receiving the company's mail — including checks. It went on for months. Prosecutors say he deposited some $58,000 in checks improperly forwarded to his address. The corporation isn't named in the court documents, but the Chicago Tribune reports that it's the shipping company UPS. In a statement to NPR, UPS said it "was notified that some U.S. mail, intended for UPS employees at the company's headquarters address, was redirected by an unauthorized change of address by a third party. The U.S. Postal Service (USPS) corrected the issue and the USPS Postal Inspector is investigating the incident." Henderson-Spruce allegedly messed up the form a little. "Henderson-Spruce did not identify himself on the one-page form. At first, the initials 'HS' were written on the signature line, but the initials were then scratched out and replaced with 'UPS,' according to the charges," the Tribune reports. But that was apparently good enough for the U.S. Postal Service. Henderson-Spruce began receiving "[s]everal thousand pieces of First Class US mail and registered mail" addressed to the corporation, according to a criminal complaint filed in U.S. District Court. For nearly three months, mail addressed to UPS's corporate headquarters was forwarded to Henderson-Spruce's apartment. He received so much mail that the mail carrier had to leave it in a USPS tub outside his door, the Tribune reports. The mail carrier told investigators that "voluminous" amounts of company mail were delivered to Henderson-Spruce, sometimes handed to him directly. The mail contained personal identifying information of employees, as well as business checks and invoices, according to the affadavit. He was also sent American Express corporate credit cards. Henderson-Spruce allegedly deposited into his bank account some 10 checks addressed to the company, totaling approximately $58,000. This went on until Jan. 16, when UPS security flagged the situation to the U.S. Postal Inspection Service. On Jan. 25, postal inspectors searched Henderson-Spruce's apartment in Chicago's Rogers Park neighborhood and found about 3,000 pieces of mail addressed to the company in Atlanta, court documents say. He reportedly told investigators that he had worked part-time at a company facility in 2012 or so. The Tribune spoke briefly with Henderson-Spruce outside his apartment building and reported that he "hinted that he'd received the UPS mail as a result of a mix-up that was not his fault and that his identity may have been stolen, but he declined to elaborate." 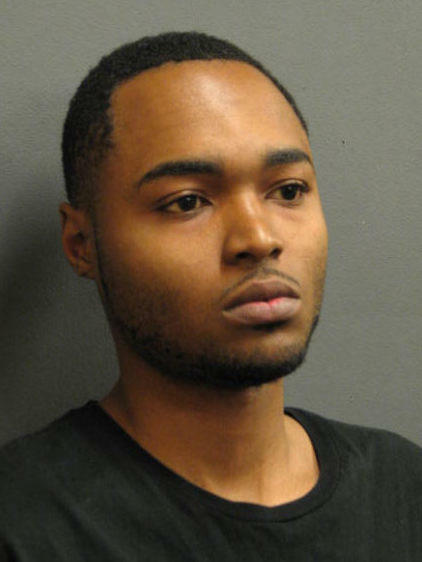 In November 2016, police in nearby Evanston, Ill., charged Henderson-Spruce with one count of misdemeanor bank fraud, for possession of a stolen check. Henderson-Spruce now faces federal charges of mail theft, which carries a maximum sentence of five years, and mail fraud, which can be up to 20. While this case is eye-popping — no one at the post office thought it weird that a guy was getting thousands of pieces of a company's mail forwarded to his apartment? — there have been many reports of regular people having their mailing addresses changed without their knowledge. KPIX, a CBS affiliate in San Francisco, reported in November that it had filed Freedom of Information Act requests with multiple branches of the Postal Service. It learned that the Postal Inspection Service had received 17,077 complaints "relating to fraudulent address changes" in the past year and that the USPS had received "approximately 46,058 inquiries from customers concerning the validity of the change-of-address order" since January 2016. "The rate of suspicious transactions reported by customers is less than 1/10 of 1 percent and many of the complaints are determined not to be related to fraud. A number of these complaints can be traced to domestic or other disputes between families and friends, who have access as a result of their relationship to information which allows one to forward mail. Still others can be attributed to service-related issues. "We are continuously implementing security enhancements to enhance the security of our change of address process. We continue to assess these options, as we determine the best alternatives to protect the needs of our customers." The Postal Service encourages customers to retrieve their mail on a daily basis or monitor it online. "Any suspicious activity, or non-receipt of mail over a couple days should be reported to their local post office, or to our federal law enforcement arm, the U.S. Postal Inspection Service."